A jury has convicted James Holmes of First degree murder in the 2012 attack on defenseless movie goers in Aurora, Colorado where 12 people were killed. The jury also found Holmes guilty of attempted murder on all of the 140 counts against him for the 70 people wounded in the shooting. Hopefully, the next step will be that James Holmes is sentenced to death. James Holmes, the gunman suspected of killing 12 people in the Colorado movie massacre will learn later today whether he will face the death penalty and execution for his crimes. Holmes’ defense attorneys had offered to plead guilty for meticulously planning and brutally executing a plan to attack a Colorado movie theater at midnight during a showing of the latest Batman movie. This pea deal would allow Holmes to live out his days in prison with no chance of parole instead of having him put to death. My person opinion is go for the death penalty … good riddance to bad rubbish.. It would be a terrible message to send out that one could go in a movie theatre, kill 12 people and wound several others and then live your life out in prison on the tax payers dime. A decision on death or not? Heck, if it were up to me the only thought process would be to either bring back “Sparky” or see if I could not get a one time public stoning exemption for his crimes. VIDEO – decision expected today. After a week of legal twists and turns, James Holmes will find out Monday if he could face execution if convicted in the Colorado theater attack that killed 12 people. Behind-the-scenes maneuvering erupted into a public quarrel between prosecutors and the defense over Holmes’ public offer to plead guilty, but the two sides could still come to an agreement that would spare Holmes’s life in exchange for spending the rest of his life in prison. Another victim has tragically been claimed at the hands of the Aurora, Co, ‘Dark Knight Rising’ movie massacre gunman … Could the pain and anguish get any worse for the Moser family? 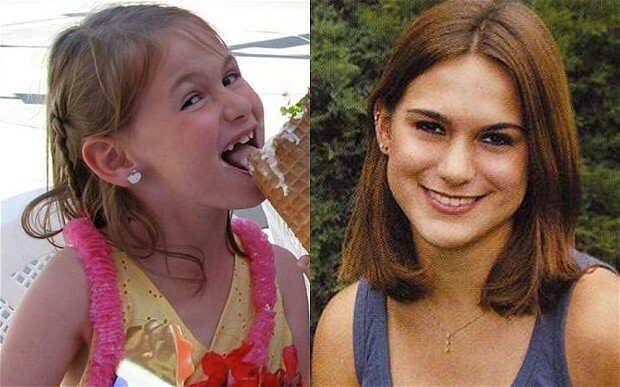 Ashley Moser’s six year old daughter Veronica was killed, along with eleven others last week when gunman James Holmes murdered 12 and wounded many others during the screening of the ‘Dark Knight Rising’ in Aurora, CO. Ashley Moser was among the 50+ individuals wounded and hospitalized following the mass shooting as she was shot in the neck and the stomach. Moser was pregnant at the time of the heinous mass murder. She was one of eleven victims still hospitalized, five in critical condition. Sadly, another has dies at the hands of this senseless crime. How much tragedy could one person take? 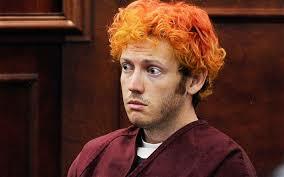 Look for the prosecutors to add one more count of murder to the charges when James Holmes is arraigned next week. James Holmes sent a notebook to a Psychiatrist at CU detailing his plans. Does the University hold any culpability? From FOX News, Movie massacre suspect sent chilling notebook to psychiatrist before attack. James Holmes, the individual accused of murdering 12 at last Friday’s midnight “Dark Knight Rising” movie massacre in Colorado, according to Fox News mailed a notebook “full of details about how he was going to kill people” to a University of Colorado psychiatrist before the attack. However, the package sat unopened in a mail room for up to a week before its discovery Monday. Good grief. Had this package been delivered, could the massacre have been averted? The notebook is now in possession of the FBI. Jammie Wearing Fool brings up a good point, it was obvious that James Holmes sent this enough in advance as a cry out for help. Holmes had no idea that the package would never be delivered and collect dust in the mail room. Did Holmes take this as no one taking him seriously and go through on his promise of violence? The source said police and FBI agents were called to the University of Colorado Anschutz medical campus in Aurora on Monday morning after the psychiatrist, who is also a professor at the school, reported receiving a package believed to be from the suspect. Although that package turned out to be from someone else and harmless, a search of the Campus Services’ mailroom turned up another package sent to the psychiatrist with Holmes’ name in the return address, the source told FoxNews.com. The first source on Tuesday told FoxNews.com the package had been in the mailroom since July 12, though another source who confirmed the discovery to FoxNews.com could not say if the package arrived prior to Friday’s massacre. It was not clear why it had not been delivered to the psychiatrist.